This Annovi Reverberi hydraulic base kit measures 14" x 19" x 1-5/8". For pressure washing, the base kit is compatible with hydraulic motor HYDM322. 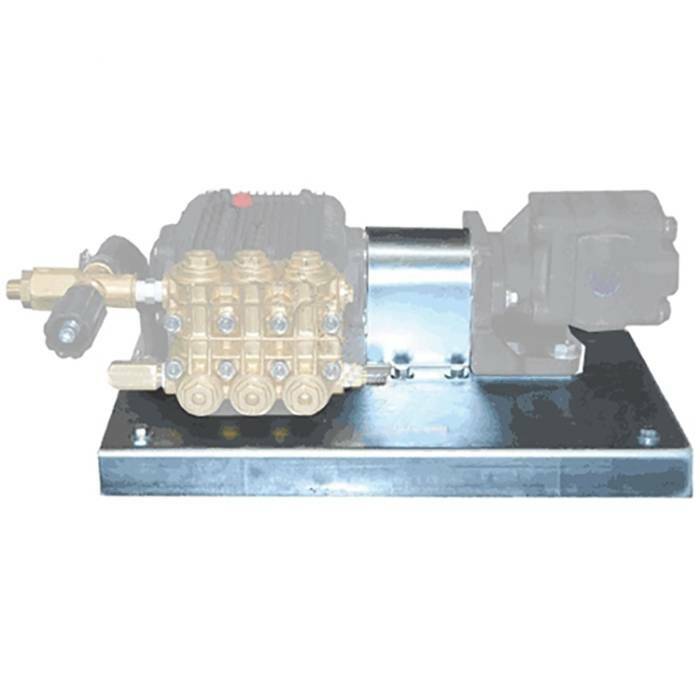 It is pre-drilled for XW, SXW and SHP series Annovi Reverberi pumps with u-bracket mounting rails. A motor and pump are shown above, but they are sold separately. Only the base plate is included. See "Related Items" below for the complementary pump and engine pressure washing equipment, which can be attached easily to the base kit.